EverythingBenefits’ 401(k) and other related financial integrations allow you to automatically and securely deliver the necessary payroll data directly to your retirement plan provider. Automatically export 401(k) data without lifting a finger. Reduce risk, avoid fines, and keep your plan’s tax-qualified status by complying with ERISA law. Extensive network integration of over 40 retirement plan providers allows automation for virtually any retirement plan. Check out our solution guide by filling out the form on this screen. 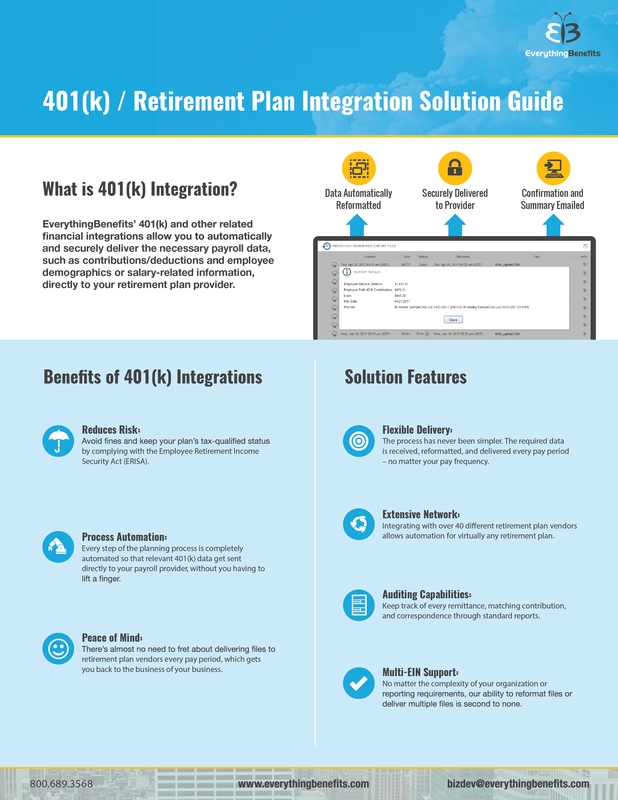 Download the 401(k) & Financial Integrations Solution Guide!